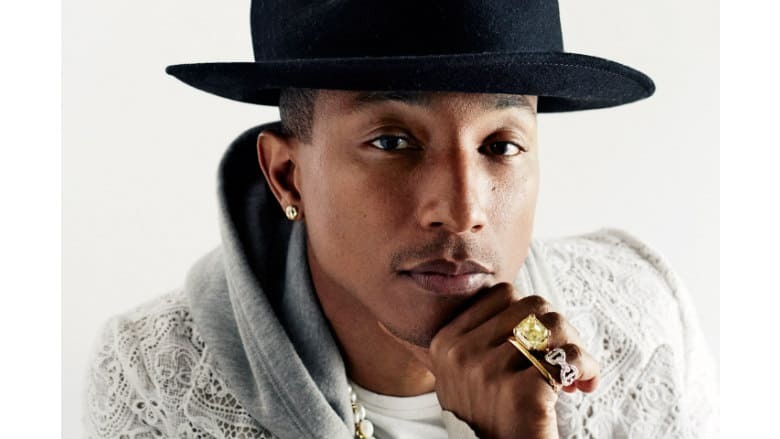 The Grinch Movie Adds Pharrell Williams as Film's Narrator | Nerd Much? Illumination is returning to the well and bringing back one of the most important elements that made the Despicable Me series so successful. Illumination has confirmed that they’ve hired Pharrell Williams to serve as the film’s narrator in the studio’s upcoming animated The Grinch movie. Pharrell Williams and Heitor Pereira were hired to handle the music on Despicable Me 2. Williams’ Oscar-nominated song “Happy” was a part of the soundtrack and aided the film in becoming a box office juggernaut to the tune of $970 million. This time he’ll just be providing voice work, setting the infamous story up in the important role of the narrator. The film is being scored by the iconic Oscar-nominated composer, Danny Elfman. The famous theme “You’re a Mean One”, originally written by Dr. Seuss and sang by Thurl Ravenscroft, is being reimagined by Tyler the Creator and Elfman. Tyler, the Creator will also be providing an original song for the film’s soundtrack. The Grinch movie led by Benedict Cumberbatch in the titular role of The Grinch. He’s joined by Rashida Jones and Saturday Night Live’s Keenan Thompson and Cameron Seely. Angela Lansbury is in the movie too, providing the voice of The Mayor of Whoville. It feels like Universal’s live-action Grinch movie wasn’t released all that long ago. But shockingly, it’s been 18 years since Jim Carrey’s take on the character hit theaters. The 2018 animated The Grinch movie tries and fresh approach with directing by Scott Mosier and Yarrow Cheney. We’ll have to see how the duo’s take compares Ron Howard’s when it releases later this year. The Grinch will be launching in theaters just ahead of the holiday season on November 8th. For all the other upcoming Christmas themed movies and shows headed our way, checkout Nerd Much?’s full list covering the 2018 season.